Over the last week, the debate about the place of the jury in the criminal justice system has occupied the minds of a great number of people. The approach of those who seek to undermine, what has hitherto been a central, if not statistically limited strata of our trial process, has been to emphasise that the ability of randomly chosen citizens to decide issues of fact, apply the law as directed by the judge and come to a proper verdict has been exposed as deficient by a single jury in the Vicky Price trial. Of course, we are immediately confronted here with the ‘knee jerk’ brigade who seem to be mounting an argument, the effect of which, is to weaken public confidence in one of the few remaining democratic and publically accessible parts of our legal system , upon a criticism of one jury. But we should never forget the wise words of Tony Hancock in his interpretation of ‘Twelve Angry Men’: “Think of your roots, think of your history. Magna Carta, what did she die for?” (and yes I know all the counter arguments re Magna Carta, but it is still funny). I do not propose to examine the events surrounding the Price jury, not least because there is an ongoing trial. But we need to get some perspective pretty fast upon what could be a very damaging assault by some upon a crucial way in which the general public can engage and be part of our, their, trial process. In fact it is the only way. 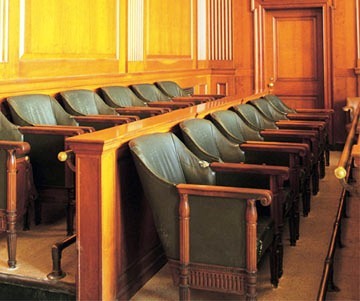 Every year, about 480,000 people across the country are called and sit as jurors. The very fact that the former jurors on the Price trial received so much publicity is testament to the vast majority of jury members who go about their business responsibly, consciensiously and diligently. The fact that the Price jury made news was because it was news. Furthermore, and in the interests of clarity, before those who would undermine this process get their way, we do not even know, nor do I seek to know, whether the entire 12 of the Price jury subscribed to those notes ( some of which were perfectly sensible like the definition of ‘reasonable doubt’ which has troubled lawyers, both practicing and academic for many years and described by Penny Derbyshire in her Paper, ‘What can we learn from published jury research? Findings for the Criminal Courts Review 2001  Crim L.R 970 as a “direction.. almost universally seen as problematic”). The overwhelming arguments in favour of our jury system have been made in a number of places. I discussed them last week on Newsnight www.bbc.co.uk/news/uk-21528308, as the debate reached its height and there is a wealth of discussion on the Social Networks developing and advancing the case for trial by jury. One of the points I raised in that Newsnight piece was my concern about the alternatives. Primarily that alternative is a judge, with all the cynicism and baggage that comes with it. Some have suggested aptitude tests for the jury which in my view smacks of pre-selection and goes against every essence of the random nature of establishing a jury. In the vast majority of cases most members of the public are perfectly able to deal with the assessment of fact required for their duty service and to suggest in a narrow and defined number of trials that there should be aptitude or intelligence tests begs the question as to the criteria for introducing these tests, for instance is it any case with a financial element? Or just some that the lawyers consider to difficult for the general public? Even in writing this it feels some what arrogant to be even suggesting it. Those who criticise the jury raise the fundamental argument that the jury may not understand their case, either on a factual basis and equally from a legal perspective. Putting to one side the taint of arrogance within this approach, bordering, as some have put it on snobbery, it follows that their concerns, they perceive, will be assuaged by judge only trials. Someone recently Tweeted to me “I would rather be tried by a judge than a jury” Would they? Lets take the much debated Jubilee Line Trial, Rayment and others as an example of a previous occasion when the jury doubters held court. This trial collapsed in 2005 after 21 months when the prosecution conceded that the fraud trial was no longer viable. A central allegation against the jury was their lack of competence to try, in this case, long and complex trials. It follows, of course with this argument, that this inability to fulfill their function is heightened in a short trial such as that of Price. But upon close analysis of all the reseach, statistics and records relating to the work undertaken by the jury, this inability, either in long or short trials is just not made out. In 1998 researchers conducted an simulation study of jurors’ comprehension of some of the evidence in the Maxwell fraud trial  Crim L.R 763. They concluded that “cognitive unfitness” had not been made out as a reason to abolish trial by jury for complex fraud cases and specifically recognised that the content of a case, properly explained by the lawyers and the judge, was not a problem for the jury. 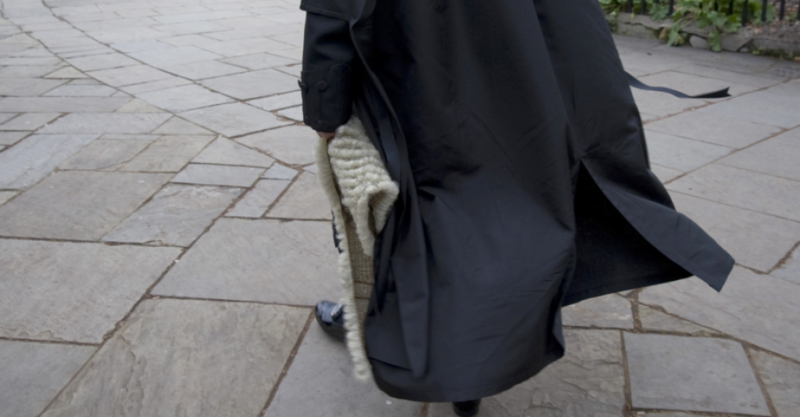 The Auld Review of the Criminal Courts of England and Wales (2001) came to the view that if it could be established that the fact-finding role of a Tribunal could be better taken by an entity other than a jury then the justification for trial by jury would fall away. Yet in his Paper, ‘ Modes of trial: Shifting the balance towards the professional judge’  Crm L.R 249, John Jackson argues that, regardless of this, juries perform a valuable function in “reinforcing adversarial protections for the accused and this raises issues which go beyond the question of their competence as a fact-finding tribunal”. Much of this approach takes into account the indisputable role, occasionally played by a jury in bringing in an acquittal, despite the liklihood of technical, legal guilt. Some would refer to it as justice, rather than a clinical finding based upon the law. It is something, quite properly, that a judge, with all his professional training and codes simply could not and should not do. Instead of arguing from a perspective that the jury no longer fit into our sophisticated appreciation of the criminal justice system, we should be looking at this issue from an entirely different view. A democratic criminal trial process needs the participation of the people it serves. If there are problems in delivering this then it is the legal system which needs to adjust to maintain the contribution of the citizen it is servant to. Any required measures to assist the participation of the jury, such as cogent and clear presentation of the evidence and the arguments are a matter for the legal profession and it is to us, if criticism there be that it should be directed. But we must remember, in fact, something near 98% of all criminal cases are decided by Magistrates. The arguments of the last few days relate to some 2% of our criminal trials. We should think very carefully before we throw away that rare but vital right. “I cannot bring myself to believe that there are any persons other than the inmates of a lunatic asylum who would vote in favour of the abolition of trial by jury in serious criminal cases”. All I can see is that courts are guessing that the Great British public are loathe to convict on police evidence due to plod’s lengthy track record of mendacity. Hence no more juries.